As Ad Blocking Goes Mainstream, What Next For Brands? It’s time to talk about something that makes most marketers shudder: ad blocking. 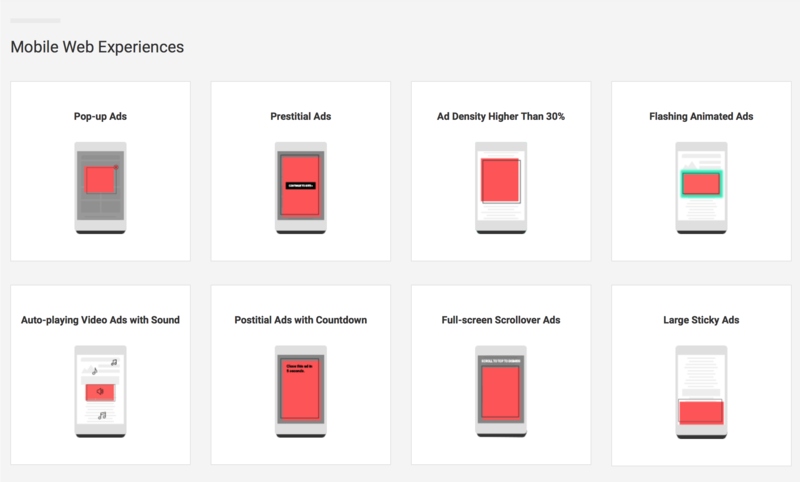 Not just the common-or-garden, personal ad blockers either - let’s talk about Google’s announcement that the Chrome browser will be automatically blocking certain types of ads. In case you’ve been away on a particularly exotic and remote holiday, here’s the summary: from 15 February Google has been filtering out ads that don’t meet new criteria set out by the Coalition for Better Ads. This includes pop-ups, large sticky ads and flashing ads, and applies to both desktop and android devices. If a page has been affected, the user will see (somewhat ironically) a pop-up message letting them know that ads have been removed, and giving them the choice to allow the ads anyway. Of course, almost no one will click ‘allow’, because the truth is that most of us passionately (and justifiably) dislike intrusive, irrelevant ads. The result is that ad blockers are incredibly widespread, with around 615 million devices blocking ads worldwide by the end of 2016, particularly in certain demographics like 25-34 year olds, around 22% of whom use adblock software. And that was before Google’s intervention, rolling out similar technology as the default on the Chrome browser, and therefore bringing it to even more devices. The types of ads Chrome is blocking. Image via Coalition for Better Ads. 1. Businesses that rely on ads for monetization need to replace revenue lost through the limitations on ads. 2. Brands that rely on ‘above-the-line’ online advertising to communicate with consumers need to find other ways to do so. Let’s look at those two challenges in turn. For publishers, the case for apps is straightforward. Apps operate outside of the Coalition for Better Ads criteria, and they aren’t subject to browser restrictions in the way that websites are. Aside from all the other benefits of apps for publishers (increased engagement, better user experience etc), the app is a platform that your business has complete creative control over, so if including ads is necessary for monetization, you’re free to continue showing them however best suits your needs. However, even though apps are immune from the web ad restrictions, there are some valuable lessons to learn from the research. What consumers are increasingly frustrated with, the Coalition states, are ads ‘that disrupt their experience, interrupt content and slow browsing.’ Above all else, users are frustrated by ads that disturb the process of their experience. The ads that were the most positively received were mostly small, in line, or scrollable. In app terms, that means integrating advertising content as much as possible into the user flow. Communicating brand image to consumers is crucial for differentiating between sellers that offer similar products. All washing powder, for example, will clean your clothes: what makes the difference between someone buying one or other of a similarly priced pair of brands is the advertising that positions it as suiting a certain type of buyer, or being associated with a particular lifestyle. That’s why by limiting the adverts that businesses like these can show, Chrome is essentially limiting their ability to communicate their point of differentiation, and therefore their ability to encourage consumers to buy from them. In contrast, if users download the brand’s app, this opens up new possibilities for brand positioning, with two key advantages. Firstly, apps enable you to build a picture of your brand that goes beyond even what pre-blocker web ads could achieve. The whole app is an opportunity to position your brand, to interact with customers, and to build personalized relationships. Apps support the kind of rich video or interactive content that simply isn’t possible elsewhere. They allow brands to deliver rich experiences that complement the product and communicate brand values. And the ability to customize and personalize experience allows businesses to develop a fuller sense of their brand image - one that is more likely to drive brand loyalty and as a result long-term revenue. Secondly, once customers have the app, there is an inherent incentive to buy with that brand. If we can purchase with just a few clicks through an app that’s already in our phone, we are far less likely to spend an hour searching around, comparing products. Even better, by going straight to the brand, the costs associated with middleman sellers can be bypassed completely. This builds patterns of repeat custom. The Starbucks app, for example, allows you to order and pay in the app, skipping queues in store. Using this feature means that you’re more likely to keep the app, and keeping the app on your screen means in turn that you’re likely to use the feature again. Apps are convenient, and convenience translates to returning customers. Whilst Google’s ad blocking does pose an additional challenge for businesses and marketers, the good news is that there are alternative communication platforms outside of the web ad restrictions. Rather than spending time and resources trying to make the new, limited web ads deliver the same impact for your business, shift your focus to apps instead, where you have free reign to interact in the ways that suit your business and your users best. The real drive should be getting users into the app - once they’re there, you have an array of interaction methods that take your marketing communications above and beyond what web ads can do.